We understand that your appliances are important to you. Not only are they a significant investment, but they keep your home running smoothly. If you are having trouble with your top-of-the-line appliances, don’t settle! Come to Mr. Appliance® of Pasco County for superior appliance repairs. We offer same day service Monday-Friday, so long as you call us by 4:00 p.m. of that day! If you call after, we can schedule convenient next day service. Reach us at (727) 270-8264. At Mr. Appliance of Pasco County, we take our job to deliver exceptional quality appliance services seriously. We are proud to guarantee our labor and parts for a full year. You can also expect fast, efficient service thanks to our implementation of advanced technology. Our goal is to make things more convenient and simple for you as our valued customers! When you have invested in premium appliances, you want to make sure you call on the experts for all your repairs. Whether your premium laundry room appliances aren’t working or your high-end kitchen appliances have broken down, our qualified technicians are just a phone call away. 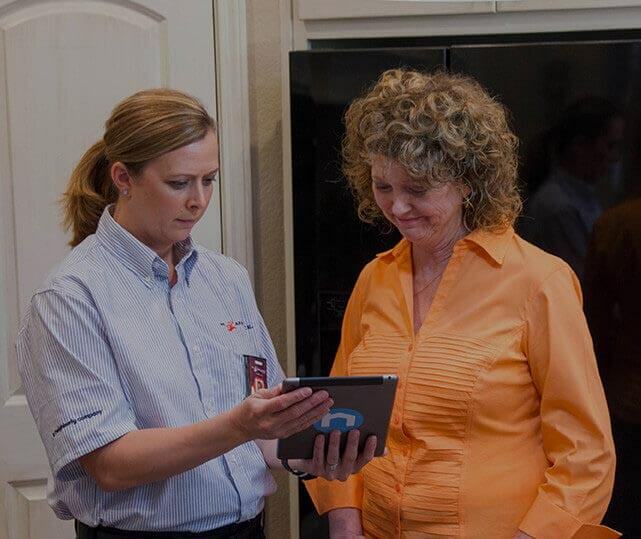 Our appliance repair specialists have the training and expertise to resolve your appliance concerns in no time. You can reach out to us today to schedule same day or next day service! Start by calling our team at (727) 270-8264 for fast support.